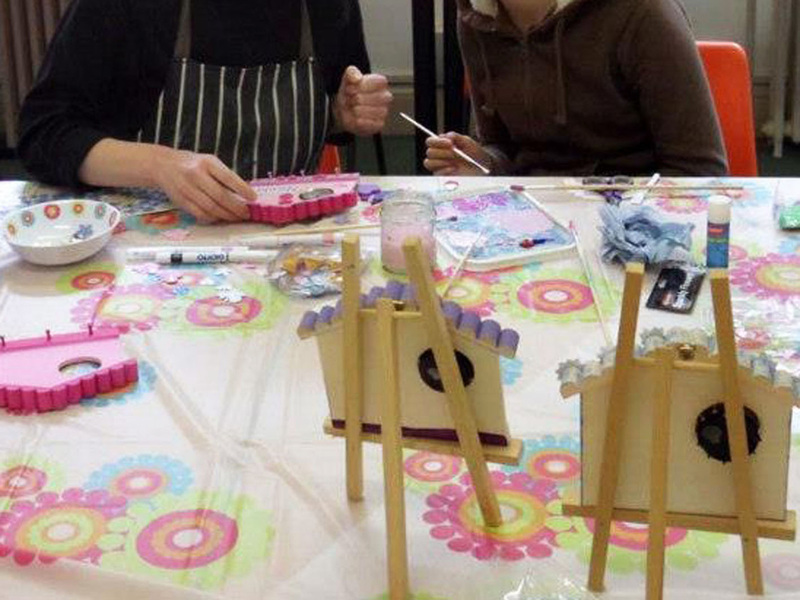 My daughter and I have facilitated several workshops for people with special needs. 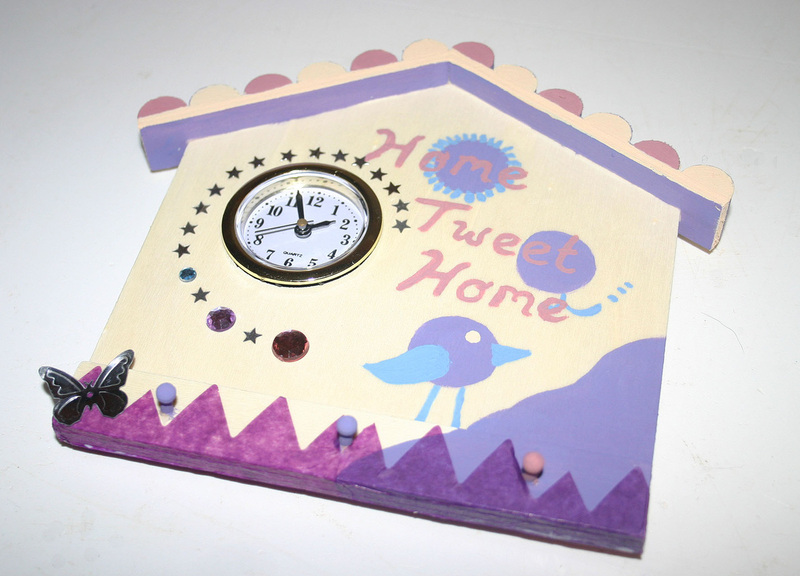 The example below shows a group of young adults decorating a wooden clock surround in the shape of a bird house. We both have Enhanced CRB's.